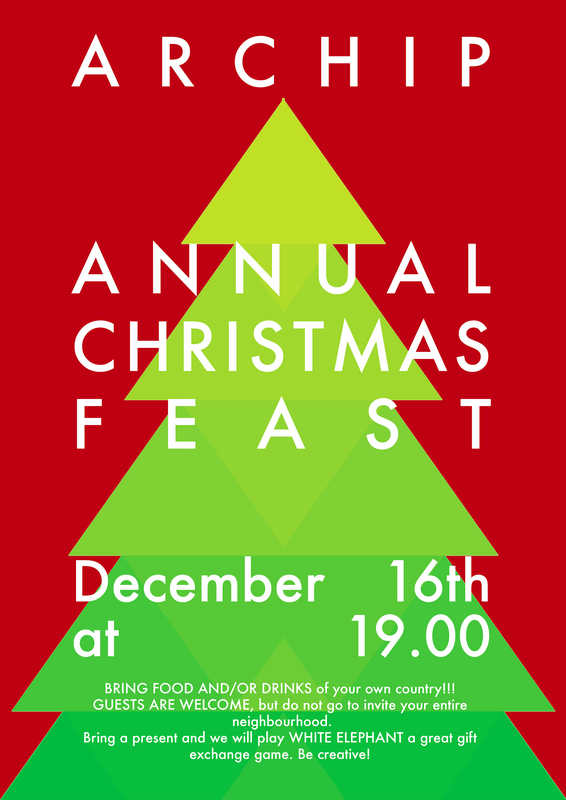 The Student Senate would like to invite you all to our Annual ARCHIP Christmas Feast! in ARCHIP's downstairs studio hall. It's a potluck dinner so bring the food and/or drinks of your country/culture and we will all share! Guests are welcome, but do not invite your entire neighborhood (keep it low-key, yo). Bring a present and be creative, we will play White Elephant, the fun gift exchange game. Budget should be 100 - 300 CZK per gift. Most importantly, bring your holiday spirit and Christmas cheer!